We have tried multiple titles (Heroes of the Storm, Dying Light, Dirty Bomb, CounterStrike Global Offensive) with the Sabre Optical RGB and we were pretty impressed with the overall comfort, which was matched by precision thanks to the latest Avago ADNS S3988 6400DPI sensor. The mouse was designed only to be used by right-handers and on the laterals we have an arched design for obtaining a good grip. 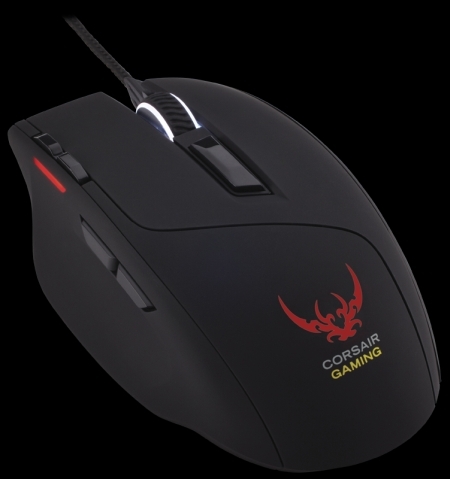 At first we would like to thank Corsair for sending a sample of their Sabre Optical RGB Gaming Mouse for testing and reviewing. "Corsair is a global company bringing innovative, high-performance components to the PC gaming market. Specializing in very high performance memory, ultra-efficient power supplies, and other key system components, our products are the choice of overclockers, enthusiasts, and gamers everywhere. Corsair has developed a global operations infrastructure with extensive marketing and distribution channel relationships. Corsair’s products are sold to end users in over sixty countries worldwide, primarily through leading distributors and retailers."